Hi! My name is Min Min. Welcome to LearnChineseEveryday.com! As you may already know, LearnChineseEveryday.com is a free web site. I create this website for people who are keen to learn Chinese. And I promise, I will always keep it free. However, if you can do any of the following things to help me promoting my website, it would be greatly appreciated! All donations are appreciated, large or small, and will be used towards software, hosting and other maintenance costs. Do you enjoy your Chinese learning at LearnChineseEveryday.com? If you have friends, family members or work colleagues who you think might be interested in learning Chinese, please tell them about this website. Subject: Check out this great Chinese learning website I came across!Hello! Do you have a blog? Are you active on a forum? Would you like to tell everyone that you are learning Chinese? Why not use one of the banners below?Just use the code in the text boxes below each banner. You have a great website. The YouTube video of “三点水“ was great! The teacher was clear and informative. I really hope you can expand that format. Currently, all the videos in this website are created by others. I always look for good quality Chinese tutorial videos to include into my website. The teacher in video of “三点水“ explained the meaning of the radical water word by word. I have tried to include this format into my daily character post, by explaining the meaning of the sentences word by word. I hope that would be useful for you learning Chinese. Again, thanks for your suggestion. Happy learning! Thanks for your great site. Very cool. It must be a lot of work for you. I started learning Chinese about six months ago, and I’m really enjoying it! I especially like your grammar notes. I’m looking forward to the final “sentence pattern” posts. If you need any help with English(or Japanese)-related things, just let me know. Thanks. The final two grammar notes should be published within next few weeks. So stay tuned. I just stumbled into this site by accident, and I’m pretty impressed. However, since there are actually TWO versions of the Chinese character set, I think for every character that has a Traditional counterpart, maybe you can include them as well. After all, the more complicated Traditional Chinese is the real one, and the only one that can truly reflect the beauty and the meanings buried inside Chinese characters. First, thanks for visiting my website. Second, thanks for your suggestion. Actually, this website is focusing on Simplified Chinese, however I still include a traditional Chinese character with strokes order animation in each character posted. I’m Sri Lankan girl. I have a friend in China. Some times when we talk he doesn’t know the meaning. It’s very difficult to us. So I thought to learn Chinese. Then I found this site. It’s very useful. Thank you very much. This is GREAT. Most of the times I need simple sentence to talk with others in our daily work. I appreciate if you can arrange some thing helping for this purpose. I hope it would be useful to you. I have to congratulate you for putting up a great website. I have not browse through it yet but the contents and layout are really great. Keep up the good work. Thanks. Please do come back always to learn Chinese at my website. i search in Google then i found your WEB site.This WEB is the best one. Thanks for coming to my website. I hope you will find my website useful. I live in Taiwan and have been studying Chinese for a year but still find I make mistakes with the sentence pattern. I have the Chinese grammar section really useful ! Thanks a lot ! I think the Chinese you are learning is Traditional. But in term of grammar and sentence structure, both (Traditional and Simplified) are the same. I really love your website. It is a great help to me to study spoken and written Chinese. using the right measure word is very important in Chinese I have been told. Can you if you have time have a look and see if it is correct so far?. Lastly what does Min Min mean in Chinese? Thanks for creating this wonderful and useful website. Thanks. I hope you will learn how to write Chinese characters from this website. Do come back always. I watched your video that trained how to say “How are you” in Chinese. That was very useful. Even if we listen to words, sometime it is very difficult to pronounce to us. When I watch your video I learned how to pronounce it correctly. Thank you so much. You are a great teacher. I believe anyone can learn Chinese when they visit to your site. Actually most of the videos here are not created by me. I just looked for suitable videos in Youtube and added them to the appropriate lessons. Glad to hear that you like those video lessons. I will create more weekly activities with videos. Thanks. Thank. Please visit my website always to support me. your website is incredible! thank you soooo much! I have been learning Chinese part time at a school here in Perth Western Australia every Saturday morning for the last 2 years. I have been to China 5 times in the last 5 years. I enjoy the culture and its people. I am keen to learn. The down side is that the class of matured age students that we have no one of native tongue to converse with on a daily basis to hone our learning. They have students in People Sq in Shanghai who come up to (Chang bizi, 长鼻子) to practice their English I wish I had the same corner for Chinese here in Australia. Maybe you would consider a Chinese corner on your Website practicing a given subject , by those that would like to offer there time to interact with each other to practice spoken Chinese and tones, sentence structures. I like your suggestion very much. You idea is very good. Actually I have been thinking to create a corner, like what you said, where users can interact and share their learning experience. However, I still don’t know “what” and “how” I should do it. So most likely I will just start with a page somewhere in this blog to let users to post and share their learning experience with each other. Thanks again for you suggestion. I truly love your site! It’s clear and easy to learn. Thank you so much! It is so glad to hear that you love my site. Thanks. honestly, if anyone want to learn chinese language , then your website is best choice in my opinion….clear ,simple and organized lectures . for long time I wasted my time with websites that made my learning process as hard and frustrating as possible. your website made me on the right track to learn chinese language. Thanks for your compliments. I am glad to hear that my website is useful for you to learn Chinese. In sentence, 她 活 到 八 十 岁 (she lived upto 80 years). I assume, she died at the age of 80 years. Am I right? We are lucky to have you teaching us Chinese language. Yes. 她 活 到 八 十 岁 = (she lived upto 80 years). I have corrected my spelling. Besides teaching Chinese, I also practice my English. 🙂 Please correct my English if I make any mistake. Thanks for clarifying the meaning of 她 活 到 八 十 岁. Definitely, you will not learn English from me. Maybe, you can learn from my mistakes. ha ha ha. I totally agree with you in that learning language is a lifelong experience whether you are native speaker or not. Can you help me understand this two sentences? Both have the same meaning. 不就 is used to give stress on the sentence. Is he the Duke of York? Can we say : Isn’t he the Duke of York? In English, I think both has the same meaning too. Will not it be terrible if it rained after all this. Hey, wouldn’t we become much clearer about it if we ask a local resident? We’ll know everything after we get up there. So he earns more than me. Big deal! Is being in love anything beyond being very fond, and very silly, and with a little touch of melancholy. Thanks for your link. You have a great website too! You are doing a good job for this site, it’s a good free resource. I really appreciate your work. I will tell all my newsletter subscribers about your site. Thanks for telling your newsletter subscribers about my website. I really appreciate it. Thanks visiting my website and sharing my site to all your classmate. Thanks for your link. You have a nice website too. I have to congratulate you for putting up a great website. I highly appreciate your efforts for a great site done and especially free of costs for people who like to learn Mandarin. Thanks a million. Thanks, and I will always make this site free of costs. Your website is great! I am an American Born Chinese who hasn’t studied the language in a long time. I’ve forgotten a lot of what I’ve learned in school, but your website is great for my continuing education! Thank you! It is great to continue your Chinese study after a long time. Hope you find my website is useful to you. I’m so interested in this website. But, i suppose that having a daily word or idiom is even better! Thanks for you suggestion. I am thinking to create a list of most common words based on HSK. Android phone is popular now. So, I think it will be convenient if we have learnchineseeveryday app on android market. Thanks for your suggestion. But currently I don’t have the skill to develop Android or iPhone App. I hope one day I could learn a programming language to build mobile application. Hi Min Min, just wanted to compliment your hard work on this site, and I gotta say, after studying Chinese for 2 years this is THE best for site for seeing what characters match what others to make words most commonly (something difficult to find on the web). All the other features are great too. I have suggested this website to many of my friends and colleges. Would love to see this on the Android Market by the way like the last commenter said. Im sure there are people on the web that would be willing to help you with that. Thanks for suggesting my site to your friends. I really appreciate it. hello min min i just see your website it is verry interesting . but i dont know that does it can make me to know chinese ? Besides my website, if possible, you should try to speak more Chinese with your friends who know Chinese. That would help a lot in learning Chinese. Hi Min Min, thanks for the great information. I’m curious about how you come up with the animated character stroke diagram, do you need some kind of a software to do it? I also want to create a website but don’t know enough about technology to start one. If you can share your experience in running your website would be great! I bought a software that generates the animated character stroke diagram. And for the sound, I am using some Text-To-Speech software. You are studying medicine in 河北医科大学? That’s great. Have you passed the HSK 1 and 2? For HSK 3, you need to know around 600 Chinese words. You need to get list of the words and study them. yes, i am studying medicine in hebei medical university.will you give me thats 600 words list? Yes. I will send it to your email. i would really be happy to recieve this list too, could you send it to me too? i am planning to come to china to learn medicine. i would like to prepare as much as possible before i come. I have sent the list to your yahoo email. How could support your website with stability since I found that sometimes this website cannot be accessed. The Pinyin generator is great, but sometimes just hardly open this page to use. Do you notice this problem? And the address of the webpage was once changed, so I had to spend time to check through it and to bookmark it back. Not sure how could we help. I have migrated to new server with 99.9% uptime, as they said. Thanks for your offer of help. I hope the server would be more stable and will have 0 downtime. 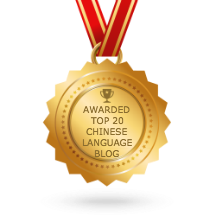 Last year, I began learning Chinese–after many years of wanting to learn it. I’m so glad I did. I’ve found that it’s best to ignore any naysayers (anyone who tells you what a hard-to-learn language it is). I bought a book and two different sets of Chinese language CD’s. I feel as if transformed, as I discover/learn new aspects of the Chinese language and culture, and meet new people. Now I’ll be adding this website to my Chinese-learning regimen. I’m so glad to have found this website! Thanks. Thanks for bookmarking my website as your learning material. I am glad that you found my website useful. I used all of my old gift cards to donate the money to this site. Thank you for this. Appreciating the persistence you put into your website and in depth information you provide. that isn’t the same unwanted rehashed information. Great read!